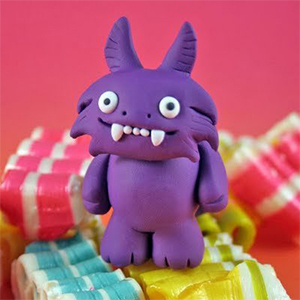 Making a clay monster is a fun project for any professional or parent. Using monster clay is a great way to ensure a good time without the stress of trying to mold other tough clays. Before you begin molding your clay monsters, there are some tips and tricks that can help you enjoy your experience even more. If you want even and uniform clay, you need to take the time to mix it well. Poorly mixed clay will lead to lumps and your clay monster will look awkward when it is dry. If you want to use coloured clay, make sure to colour it beforehand. This will allow you to alter the colours as needed to get them the perfect shade. In addition, it will ensure that the colouring does not rub off while kneading and sculpting the clay. When making a clay monster, you should visualize what you want ahead of time and then start making the smaller parts. The longest process of the entire clay forming experience will be making the eyes, ears, nose, legs, and the like. Forming and making all of these small pieces first can help save you time. Monster clay is easy to mold and it allows you to mold and smooth it much more easily than other options. Once you are done with your clay monster, you will want to go back over the clay to smooth out any inconsistencies. Alcohol is a great tool and can be applied to your monster sculpture to help smooth out those small areas. If you are looking for monster clay to begin your project, the team at Dalchem can help you out. Dalchem provides quality monster clay products for both professionals and hobbyists. With affordable prices and a large variety of options, you can get all of the supplies you need in a flash.